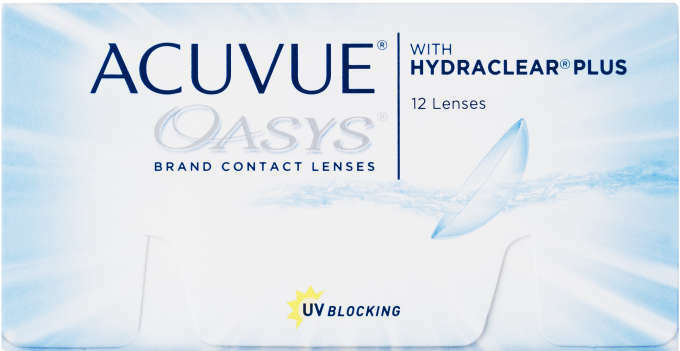 It's bye, bye to dry with the #1 doctor-prescribed contact lens in the U.S. ACUVUE® OASYS® Brand features next generation HYDRACLEAR®PLUS Technology that can keep your eyes comfortable all day long - even in tough surroundings that can make eyes feel tired and dry. 1-2 week soft disposable contact lenses. 12 lenses in buffered saline with methyl ether cellulose.